Something one can quickly notice when reading about Jesus: he, his contemporaries, and even his ancient predecessors had a lot of names and descriptions for him. Here’s a sampling of some 125 or so, though this list isn’t comprehensive. 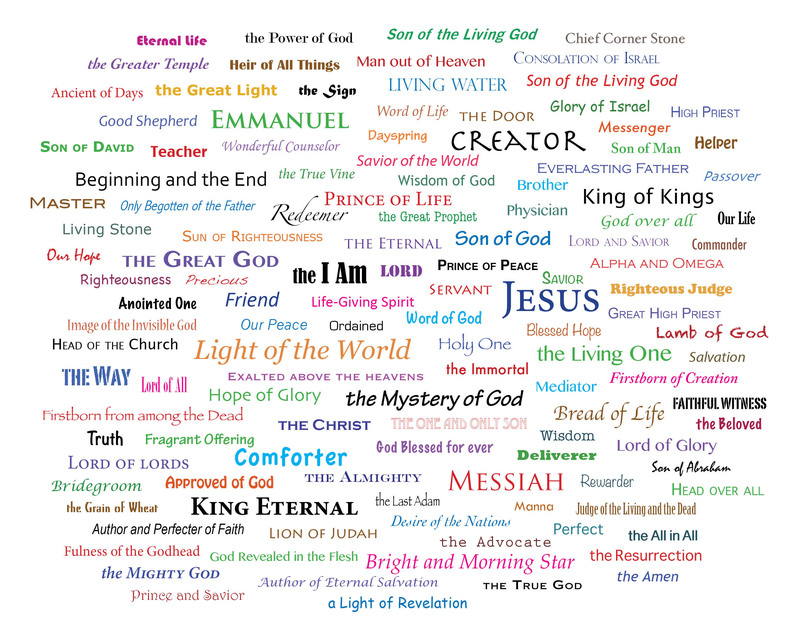 Some are the things he called himself (like “the Good Shepherd”), or those his followers used (“King Eternal”) or those proposed years in advance (“Prince of Peace”). Altogether it’s quite a set. When you get this kind of attention, there’s usually a good reason. Click (or tap) on the picture for a larger version, and find your favorite. At the least, exploring this set gives some idea of his impact. My favorite probably changes over time, but the “I Am” was a profound one that Jesus used of himself (see John 8). In that time and to that audience, a non-crazy person would know this was nearly a complete blasphemy (equating himself with the voice in Moses’ burning bush episode) if not true. And thus the crowd quickly but unsuccessfully opted to try stoning him to death. For those who are into the details, and you’d have to really want it, here are the Biblical references to the various names. In small print just to make you work for it. The names are from the King James (KJV) and/or New International (NIV) translations, with one from World English Bible (WEB) just to mix it up.